Happy to over 1000 followers on my project management Pinterest board! This is my most followed board. Most people think that Pinterest is only for Mommy and food bloggers! Wrong! My most followed board is project management. 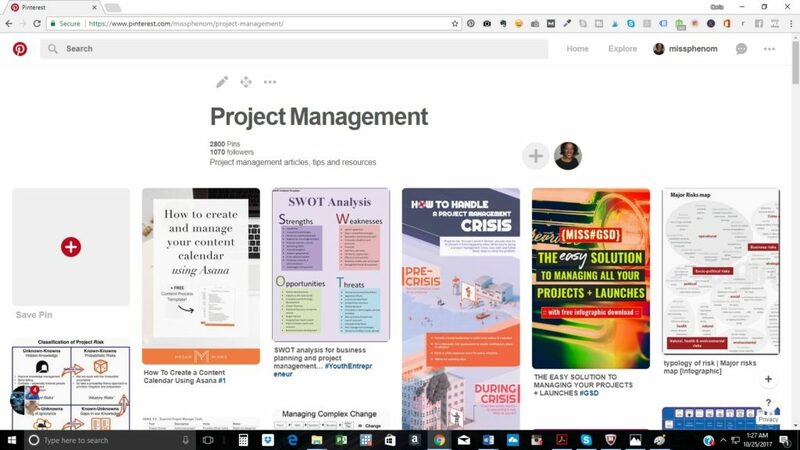 So many project managers and companies follow my board because they are watching my YouTube videos and reading my blogs. Pinterest is the truth! I love photography and I am very grateful for all of my 1000+ followers. I adore Pinterest for so many things. I am checking your board out now.